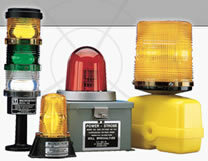 It is the goal of Maxi-Signal Products to provide you with industry leading signals, lighting and safety equipment. Every effort is made to keep current and make certain you are offered the highest quality and best value. Distributor of strobe lights, backup alarms, crane lighting.